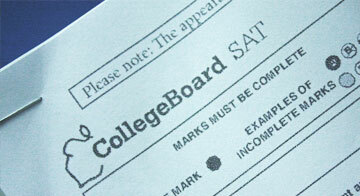 Big changes are coming to the SAT, the infamous college admissions test. Fortunately, current high school students have options when it comes to tackling the new exam. Read this article that summarizes student options. High school sophomores and juniors should be aware that the new PSAT is rolling out this fall, and they would do well to take that test before jumping up to the new SAT in the future. Juniors will also need to consider whether to take the old SAT sooner, likely before January 2016, or to take the new SAT after that date. Of course, there is always the option to take the ACT, which isn't changing at all. Which college admissions test(s) are you taking? We would love to hear your comments below.